Dr. Thomas Robinson, a Stanford University professor of Pediatric Medicine and pioneer in using novel motivational techniques to combat childhood obesity, has been named the winner of the 2016 Bloomberg Manulife Prize for the Promotion of Active Health. Dr. Thomas Robinson as the 2016 winner of the Bloomberg Manulife Prize for the Promotion of Active Health. The Bloomberg Manulife Prize, which includes a CAD $50,000 research award, was established in 2011 by McGill alumnus and Toronto-based investment manager Lawrence S. Bloomberg, C.M., O. Ont. MBA’65, and corporate sponsor Manulife to recognize researchers whose work is enhancing our understanding of how physical activity, nutrition or psychosocial factors influence personal health and wellbeing. The prize is housed at McGill’s Desautels Faculty of Management and administered by the McGill Centre for the Convergence of Health and Economics. Dr. Robinson is being recognized for developing a unique research program that goes beyond looking at the root causes of obesity and other health-related conditions by developing creative and sometimes unconventional interventions – from dance classes to educational courses – and measuring their impact on diet, weight loss and other barometers of health. The ultimate goal is to persuade children, adolescents and their families to adopt healthier lifestyles, often without them even knowing. Among his more notable projects is one in which he introduced after-school dance classes to at-risk communities where children have been historically inactive. Within weeks, involvement in the classes showed positive effects on participants’ cholesterol and insulin levels, and showed signs of slowing obesity. In another project, focused on diet, university students who had taken classes that explored the environmental impact of certain unhealthy foods showed decreases in consumption of red meat and sugary snacks. Dr. Robinson, MD, MPH, is the Irving Schulman, M.D. Endowed Professor in Child Health and Professor of Medicine at the Stanford Prevention Research Center. 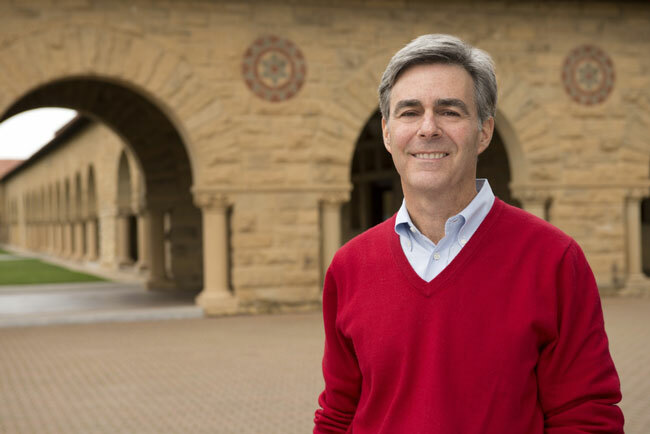 He is also Director of Stanford’s Center for Healthy Weight. In addition to his research and clinical practice, Dr. Robinson is a frequent appointee to expert and advisory panels for leading scientific and public health agencies, including the Scientific and Technical Advisory Network of the World Obesity Federation and the Clinical Obesity Research Panel of the National Institute of Diabetes and Digestive and Kidney Diseases. Since its inauguration, the Bloomberg Manulife Prize has gained the endorsement of prominent health organizations including The Canadian Cancer Society, The Canadian Heart and Stroke Foundation, ParticipACTION Canada, The Canadian Diabetes Association, YMCA Canada and the Canadian Men’s Health Foundation. Dr. Robinson will accept the Bloomberg Manulife Prize at a special ceremony in Toronto on Wednesday, Feb. 15, 2017, where he will also speak about his research. This will be followed by a visit to McGill in Montreal on Thursday, Feb. 16. At 66 , living an active life, my opinion of maintaining health is respected. Having just retired from nursing for 43 years, I may be able to find time to participate in the work required for your research. Perhaps I will be able to participate from Toronto?